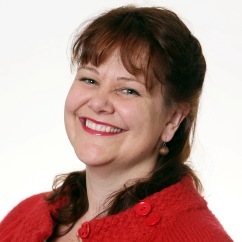 Nicky has worked across a range of mental health services both in the UK and internationally supporting staff and practice development in acute and mental health trusts, councils, businesses and charities. She is also a Trustee for West Hampstead Women's centre. Nicky has a professional Twitter feed: https://twitter.com/niadla (@niadla) and is keen that all people with and interest in mental health engage together as a community to support good practice and challenge discrimination. She has teaching and research interests in women's health, physical and mental health, co-production, social media and health education. Kirton, C., Lambert, N., Matheson, H. and Connell, S. (2018) Exploring the experiences of trainee mental health workers: moving from theory to practice. The Journal of Mental Health Training, Education and Practice, 13(3), pp.137-147. Lambert, N. (2018) Supporting women with mental health issues. Mental Health Practice, 21(6). Hafford-Letchfield, T., Lambert, N., Long, E. and Brady, D. (2017) Going solo: Findings from a survey of women aging without a partner and who do not have children Journal of women & aging, 29(4), pp.321-333. Aceijas, C., Waldhäusl, S., Lambert, N., Cassar, S. and Bello-Corassa, R. (2017) Determinants of health-related lifestyles among university students. Perspectives in public health, 137(4), pp.227-236. Lambert, N. and Hemingway, S. (2016) Caring about the shape of mental health nursing British Journal of Mental Health Nursing, 5 (3), pp.111-117. Lambert, N., Hafford-Letchfield, T., Khan, H.T., Brady, D., Long, E. and Clarke, L., (2018) Stories of intimacy and sexuality in later life: Solo women speak. Lambert, N. (2018) Informed Gender Practice in Acute Mental Health: When Policy Makes Sense in Beresford, P., 2018. Social Policy First Hand: An International Introduction to Participatory Social Welfare. Policy Press. Khan, H., Hafford-Letchfield, T. and Lambert, N., (2018) Single women living alone in later life: a short review. Lambert, N. and Connell, S. Promoting Social Inclusion in Trenoweth, S. ed., (2016) Promoting Recovery in Mental Health Nursing. Learning Matters. Lambert, Nicky and Pezzella, Alfonso and Gleeson, Helen (2018) Student freedom and responsibility; academic citizenship and societal engagement: politics, professionalism and practice. In: Philosophy and Theory of Higher Education Conference: ‘Student Being and Becoming in the Future University’, 11-12 Sept 2018, Middlesex University London, United Kingdom. Reilly, Eileen and Hafford-Letchfield, Trish and Lambert, Nicky (2018) Ageing solo in Ireland: an exploratory study of women’s perspectives on relationship status and future care needs. In: The Joint World Conference on Social Work, Education and Social Development (SWSD) 2018, 04-07 July 2018, Royal Society of Dublin, Dublin Ireland. 2018: Organiser and Lead for #ProudToBeDifferent: 2018 conference jointly held between Barnet, Enfield and Haringey NHS Trust, Camden and Islington NHS Trust and Middlesex University. 2017: Chair of Policy-UK's Revolution in Mental Health conference. 2017: Organiser and Lead for #ProudToBeDifferent: 2017 conference jointly held between Barnet, Enfield and Haringey NHS Trust, Camden and Islington NHS Trust and Middlesex University. 2017: A Chair at 17th Annual Learning and Teaching Conference. 2016: Organiser and Lead for #ProudToBeDifferent: 2016 conference jointly held between Barnet, Enfield and Haringey NHS Trust, Camden and Islington NHS Trust and Middlesex University. 2016: Commissioned to develop and deliver a Leadership project for an Emergency Department. 2015-current: Commissioned to develop and deliver a Preceptorship project for a Mental Health trust. 2015: Evaluation of education provision on Compassion in local NHS trust. 2015: Commissioned to co-develop and co-deliver a risk assessment project for Community teams. 2012- current: Reviewer for a number of professional journals including Nurse Education Today. behaviour, taking team days and supporting learning and development. “Outside the original remit”: Working creatively to co-produce qualitative mental health research with service users: reflections from two studies. - Politically Engaged Nursing Practice. - Women’s experiences of mental and physical health issues in accessing and receiving care. - The Time of Their Lives? : Lifestyles and the Experience of Health among UK Undergraduate University Students. - How does the role of Trainee Mental Health Workers in clinical practice compare with expectations prior to starting the programme? Joint World Conference on Social Work, Education & Social Development. Seoul, S. Korea. - Researching stigmatised experience Loneliness: the ‘L’ worse than leprosy. - Consider a birdcage … reflecting on potential vulnerability and recognising expertise. Using Filmmaking to Engage Students.